The court granted defendant's motion for protective order to preclude the deposition of its in-house litigation counsel. "[The deponent], though in-house counsel, is unquestionably an active member of [defendant's] litigation team in both the trade dress case and in this patent litigation, and [plaintiff's] request to take her deposition invokes the [Eighth Circuit's] concern of protecting against the discovery of trial or litigation strategy. . . . Information related to the indemnity emails is arguably both relevant and non privileged. However, [plaintiff] failed to prove that no other means exist to obtain the information, and that such information is crucial to its preparation of the case. . . . Further, permitting the deposition of [defense counsel] would require navigating an invisible line between her dealings with business affairs and her role as litigation counsel, and would risk exposing [defendant's] litigation strategy in this case." The court denied defendant's motion for summary judgment that plaintiff's wireless communication patent was invalid as indefinite and granted plaintiff's motion to correct an obvious error in the patent. "During prosecution of [a patent-in-suit] the patent examiner corrected the phrase 'subscribers' to 'subcarriers' in claim 7 to avoid the absurdity of a cellular system where 'subscriber units' are 'allocated' to themselves. Recognizing a similar, but uncorrected, problem in another claim, Plaintiff . . . now asks this court to complete the task. . . . Neither party disputes that the term 'subscriber units' as used in claim 18 is nonsensical because the [patent-in-suit] concerns only the allocation of subcarriers, not subscriber units. . . . Rather than suggesting a different construction, the prosecution history reinforces the conclusion that 'subcarriers' is the only reasonable construction of claim 18’s reference to 'subscriber units.'. . . While [plaintiff] could have and perhaps should have acted more promptly, Defendants cite no case limiting judicial correction under the present circumstances." The court granted defendant's motion to exclude the testimony of plaintiff's expert regarding a reasonable royalty because his opinion was based on licenses not produced in discovery and the expert was not permitted to testify about the unproduced licenses from memory. "[I]t is undisputed that [plaintiff's expert] is unable to produce copies of the 'Swiss' and 'Italian' licenses referenced in paragraph 55 of his expert report, or any other licenses to which he more generally refers. . . . [The expert] seeks to testify about the royalty rates paid, or being paid, by certain third-parties, but is unable to produce copies of the licensing agreements to which he refers. . . . [Plaintiff] presents no authority to this court that would allow [its expert] to testify about the terms of the 'Swiss' and 'Italian' licenses without producing copies of them to [defendant], in contravention of the general rule that all supporting facts and data be produced with the expert report." Following judgment on the pleadings that plaintiff's decision-making patent was invalid as claiming unpatentable subject matter, the court granted defendant's motion for attorneys’ fees under 35 U.S.C. § 285 and doubled the amount of attorneys' fees as a deterrent. "While the primary goal of Section 285 is to compensate parties who have been forced to defend against frivolous and unwarranted suits, it also serves as a deterrent against such litigation. The instigation of a lawsuit brought in bad faith against a defendant causes a severe injury to the defendant that cannot fully be compensated. . . . This litigation was resolved on the merits because this defendant has the financial ability to resist the plaintiff’s pressure and because it chose to fund a defense in court rather than pay an unwarranted, less expensive licensing fee. It appears that none of the other defendants sued by [plaintiff] made that choice. As a result, but for [defendant's] financial resources and resolve, [plaintiff's] predatory behavior would likely have proceeded unchecked. Any award in this action must be substantial enough to deter [plaintiff] from pursuing baseless claims in the manner [plaintiff] used in this case." The court granted defendant's motion to strike plaintiff's amended infringement and invalidity contentions served after the close of discovery. "[Plaintiff] cannot avoid the boundaries of its timely infringement contentions by not disclosing the substance of its doctrine of equivalents and structural equivalents contentions until its Corrected Opening Expert Report. . . . [Defendant] would be prejudiced by allowing [plaintiff] to proceed on its untimely contentions, which would likely lead to loss of the current trial date and the necessity for additional expensive discovery, and could potentially require additional claim construction proceedings. . . . [W]hile the Court does not find [plaintiff] acted in bad faith, it did willfully proceed on timing in conflict with the Court's scheduling order for fact discovery. . . . [W]hile [plaintiff] will lose some 'critical' evidence, it may proceed on its timely-filed contentions." The court granted defendants' motion for summary judgment of noninfringement of plaintiff's image sensor patents because the accused wafers were not sold in the U.S. "[A]t most, the evidence shows that [defendants'] entities engaged in conduct amounting to domestic contracts for foreign sales — that is, contracts executed in the United States but contemplating strictly foreign manufacture and delivery. Such conduct does not constitute direct infringement because the accused wafers are manufactured and sold outside the United States. . . . In light of the strong presumption that United States patent law does not operate extraterritorially, the Court finds that the place of manufacture and the location of the contemplated sales (i.e., Taiwan) are determinative of direct infringement liability. . . . . Even if the Court accepts [plaintiff's] position that [defendants] negotiated and executed contracts for the sale of the accused wafers in the United States, the contracts contemplated delivery and performance abroad." The court denied plaintiff's motion to certify for interlocutory appeal the court's claim construction where the PTAB construed certain claim terms differently. "In this case, there have been different decisions on the same contested issue by two different adjudicative bodies: this Court and the [PTAB], in the parties’ Inter Partes Reexamination, currently on appeal at the United States Court of Appeals for the Federal Circuit. . . . [D]istrict courts interpret claims using the 'ordinary and customary meaning' of the terms . . . whereas in PTO proceedings, claims are construed under the 'broadest reasonable interpretation' standard. Hence, it is not surprising that constructions from IPRs and other PTO proceedings may differ from or, indeed, be diametrically opposed to those of district courts, as is the case here, where, for example, this Court found the preambles limiting, but the PTO did not so find. . . . While there are 'conflicting interpretations from' different adjudicative bodies, the interpretations stem from different standards. Thus, the Court does not believe that the instant conflicting determinations actually present the scenario of 'conflicting opinions,' envisioned under § 1292(b)." The court granted defendant's motion to compel documents withheld as privileged. "[T]he established policies underlying the work product doctrine require that the phrase 'in anticipation of litigation' . . . be limited, with respect to non-opinion material, to material generated solely with respect to [plaintiff's] relationship with a particular potential licensee/defendant beginning at the time that potential licensee/defendant is identified. Other or more general relationship to litigation will render the material presumptively business-related and not protected. . . . [I]nternal communications to and from internal counsel are presumptively business communications not protected by the attorney-client privilege unless they relate solely to [plaintiff's] relationship with a specific potential licensee/defendant at or after the time that potential licensee/defendant is identified." The court granted defendant's motion to limit the number of asserted claims from nearly 800 to the limits under the Federal Circuit Advisory Committee Model Order (first 32, then 16 claims) before claim construction. "This Court rejects [plaintiff's] contention that the Court should wait to consider a limitation on the number of asserted claims until after the Claim Construction hearing. It would be a waste of time and resources to conduct such a hearing for a multitude of claims that [plaintiff] may later elect not to pursue. Nor is this Court persuaded by [plaintiff's] claim that it will be prejudiced if it is forced to reduce the number of its claims at this point. That is because this Court’s instruction to reduce the number of claims comes with the proviso that [plaintiff] can seek to add new claims if it can make a good cause showing that the new claims are not duplicative." The court denied in part defendant's motion for discovery sanctions and further reduced the award by another one-third for defendant's overreaching. "The Court agrees with Plaintiff that the amount of fees that [defendant] requests in its Memorandum is excessive and that [defendant] broadly misconstrued the Court’s order awarding reasonable expenses and attorneys’ fees. . . . Defendant’s request for $132,629.48 for an 18 page emergency motion for sanctions, a 19 page reply and oral argument at a relatively brief hearing is unreasonably excessive. . . . While [defendant's] conduct does not require a complete denial of its application for fees and costs, it does justify a further reduction of the amount to be awarded to Defendant based on its overreaching with respect to its application. . . . Because [defendant] unreasonably sought to recover much higher fees for legal services unrelated to the motion for sanctions, and which are also not supported by adequate billing records, the Court exercises its discretion to reduce the award of attorneys’ fees and costs to [defendant] by one-third. . . . The Court therefore awards Defendant . . . attorneys’ fees and costs related to its motion for sanctions in the total amount of $10,667.00." The court denied both parties' motions to exclude testimony from their damages experts. "[T]he Court acknowledges that [plaintiff's damages expert's] testimony contains a greater degree of speculation than might ordinarily be required to pass muster under Daubert v. Merrell Dow Pharmaceuticals, Inc., 509 U.S. 579 (1993) and Rule 702, Fed. R. Ev. This, however, is a function of the limited nature of the underlying evidence available in this case to construct the hypothetical bargain required by patent law. Under these circumstances, the flexibility inherent in Daubert permits the Court to accept testimony that is more speculative than would ordinarily be desirable. Nonetheless, this ruling is made without prejudice to defendants' renewing their motion to strike [the expert's] testimony if, after he has testified before the jury and been subject to full cross-examination, it turns out that his opinions are even more speculative in nature than they appeared at the Daubert hearing." The court denied defendant's motion to stay an injunction past the sunset period because defendant did not establish a likelihood of success on appeal, irreparable injury, an injury to a third party, or harm to the public interest. "[Defendant] questions the significance of [plaintiff's] harm when it does not practice the [patent-in-suit] and in fact purchased the patent only after this litigation was launched. . . . [Defendant's] arguments take no account of the fundamental nature of the right at issue: the right to exclude. . . No matter [plaintiff's] lack of practice of the patent or when [plaintiff] acquired it, [defendant's] ongoing infringement denies . . . [plaintiff's] right to exclude competitors from practicing the [patent-in-suit's] claims. While perhaps less well-remembered than its criticism of the Federal Circuit, [eBay Inc. v. MercExchange, L.L.C., 547 U.S. 338, 392 (2006)]'s criticism of the district court’s seeming reliance on such distinctions was just as pronounced. . . . Put another way, whether for Thomas Edison and his light bulb patents or [plaintiff] and its off-the-shelf purchase, the exclusive rights under 35 U.S.C. § 271 are the same; that period of exclusivity never comes back." The court ordered defendants to provide additional briefing or it would exclude the testimony of their damages expert regarding a reasonable royalty because of his unconventional analytical/income approach analysis. "[The expert] appears to base his calculation on a hypothetical negotiation between the parties wherein the defendants are willing to spend only their 'excess profit.' . . . [The expert's] profit calculations differ substantially from those of the experts discussed in the case law. In those cases, the experts compared the infringer’s profits without infringement to the infringer’s profits with infringement. . . . [Defendants' expert] considers only a subset of infringement profits because he considers only defendants’ 'excess profits' over and above their 'base' profits from infringement, while other experts conducting this analysis have considered the total profits resulting from infringement. This method is problematic, but that is not even where [defendants' expert] lands. Rather, his proposed royalty rate is much lower than the rates he found comparing best and base case profits. . . . [W]ithout further information and explanation from defendants as to why [their expert's] profitability method is reliable, I will not permit him to testify because he will have nothing helpful to offer the jury." The court partially granted defendants' motion to reconsider an earlier order on plaintiff's motion in limine to preclude defendants from introducing evidence of inter partes review. "[D]efendants expressed their view that . . . evidence as to the pending inter partes review proceedings is relevant and admissible to rebut the presumption of validity. . . . Although defendants’ position is not without merit, I am persuaded that, because of the different standards, procedures and presumptions applicable to IPR proceedings, evidence concerning the proceedings is irrelevant and highly prejudicial to the jury’s determination of the validity of the patents. For this same reason, defendants may not rely on evidence of the IPR proceedings during the damages phase to argue that the patents are entitled to diminished value. That said, defendants are free to refer to the board’s findings and argue their weight when making any arguments outside the jury’s presence on the objective prong of the willfulness test. In addition, should the question of subjective willfulness be presented to the jury, defendants may introduce the board’s decision as evidence showing their good faith belief in invalidity. The parties agree that in the event this occurs, the jury should be given a curative instruction regarding the proper weight to be given the IPR evidence." The court denied defendant's unopposed motion for attorneys’ fees under 35 U.S.C. § 285 after the court dismissed plaintiff's infringement action for failing to obtain new counsel and rejected defendant's argument regarding plaintiff's litigation practices. "[Defendant] argues that [plaintiff] is a non-practicing entity and hyper-litigious. However, even if these contentions are accurate, the absence of any evidence in the record demonstrating that [plaintiff's] claims were frivolous precludes [defendant] from asserting that it should not have had to incur the costs of defending this litigation. If [plaintiff's] claims had merit, its status as a hyper-litigious non-practicing entity should not prevent it from bringing suit. . . . [Defendant] also argues that [plaintiff] has a history of bringing suit, draining its opponent’s financial resources, and then defaulting on its own legal fees, as has happened in this case. However, I do not find that [plaintiff] intended, from the outset, not to pay its legal fees." The court granted defendant's motion to exclude the testimony of plaintiff's damages expert for trying to circumvent the entire market value rule. "[Defendant] contends [the expert's] royalty base is inflated and unreliable because it is derived from the entire market value of [defendant's] end products, instead of from the smallest salable patent-practicing unit (“SSPPU”). . . . [Plaintiff] contends [the expert] did not use the EMVR because he apportioned the value of the patent invention. . . . [W]hile undoubtedly the end product derives value from the allegedly infringing technology, [defendant] buys a chip from third parties, and the chip includes the allegedly infringing technology. Although the parties dispute whether this chip is the SSPPU, [plaintiff] fails to explain why the value of the products’ other features is properly considered in conjunction with the allegedly infringing technology. The Court rejects [the expert's] attempt to circumvent the EMVR by applying an 'apportionment' to the entire market value of the allegedly infringing devices. While this approach is admittedly not the 'entire' market, the calculation is expressly based on the entire market value, and to countenance this approach would elevate form over substance." The court denied defendant's motion in limine to preclude evidence of subjective willfulness until the court ruled on the reasonableness of defendant's invalidity defenses. "[A]lthough it is true that some cases include language supporting defendants’ position that submitting the willfulness question to the jury is improper unless and until the court first decides whether plaintiffs have met their burden with respect to the objective prong of the test, I am not convinced that the Federal Circuit has imposed such a hard and fast rule on district courts. Although it is clear that the objective determination is a legal determination that must be decided ultimately by the court and that there is no reason to submit the willfulness question to the jury if the court has determined that the accused infringer’s defenses are objectively reasonable, I do not understand the cases to require a trial court presiding over often-complex and fact-intensive patent trials to put a case on hold while it considers the objective question, or alternatively, to work through the night to issue a decision on the objective prong so as not to hold up the trial." The court denied plaintiff's motion to compel defendants to produce their intra-corporate patent licenses with their subsidiaries. "According to [plaintiff], the intra-corporate licenses are comparable to the hypothetical license in this case because the negations for these licenses were done at 'arms’ length' and represent the true value of the intellectual property conveyed in those licenses. The Court disagrees. The intra-corporate licenses transferred considerably more intellectual property rights than those involved in the hypothetical license in this case, causing a fundamental disparity in both the value and nature of each license. . . . Moreover, the intra-corporate license negotiations, which took place between a parent company and a subsidiary, involved markedly different considerations and bargaining positions than the hypothetical negotiation between [defendant] and [plaintiff], two competitors. . . . [T]he intra-corporate licenses are not comparable or relevant." The court sua sponte found as a matter of law that plaintiff did not have a viable induced infringement claim because the underlying direct infringement required performance of method steps by different entities and plaintiff could not establish direction and control by one of the entities. "[P]laintiffs contend that the assisted users 'direct and control' defendants to perform the requisite steps of the claimed methods merely by initiating a captioned call. . . . Plaintiffs’ theory of 'direction and control' is that [defendant's] relay system is designed in such a way as to 'always and automatically' generate and transmit captions whenever any new call is initiated by a user. That the defendants allegedly lack control to decline to provide captioning to incoming calls, however, is not the same as showing that assisted users exercise the necessary control or direction over the performance of the method steps such that 'every step is attributable to [the users].' Notably, plaintiffs do not allege that the assisted users control [defendant's] servers or have any influence over the operation of its call centers. They do not allege that the assisted users provide any instructions or directions to [defendant] about how it should generate captions and they do not allege that the assisted users receive any portion of the payments received by [defendant] for providing its relay service. In fact, plaintiffs do not even allege that the customers have any knowledge whatsoever of where, how or by whom captions are generated. The assisted users, in other words, are clueless masterminds." Following partial summary judgment of noninfringement and a stipulated judgment, the court denied defendant's motion for attorneys’ fees under 35 U.S.C. § 285. 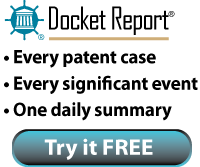 "[Defendant] takes issue with [plaintiff's] lack of an adequate pre-filing investigation, based on his admissions that he did not prepare a claim chart, perform preliminary claim construction, or consult a patent expert prior to filing suit. . . . [I]t appears that [plaintiff] originally brought his suit . . . relying in part on the mistaken belief that the reference on [defendant's] website to 'patented AutoBins®' referred to [plaintiff's] Bins. . . . Even if this case were an exceptional case . . . this Court would exercise its discretion and decline to award fees. . . . Exhibits in the record support that [defendant] threatened to seek fees from the beginning of this litigation. Exhibits in the record also support [plaintiff's] contention that [defendant] attempted to use the threat of fees to persuade [plaintiff] to abandon all of his claims — including those claims based on [defendant's] admitted breach of the license agreement."